I’m on the waiting List – Now What? Now you have made a very good and wise choice! The first of many that can lead to a real and lasting life change. Now you have made a very good and wise choice! The first of many that can lead to a real and lasting life change. Here are some suggestions that will help you in preparing for your entrance into the Colony of Mercy. You are investing the next four months of time into the rest of your lifetime. In order for it to be most effective, you may want to begin taking the following measures while waiting. They will help you to wait well. Keep calling! The only way to stay active on the waiting list is to call weekly. You will not improve your standing on the list if you call daily. If you do not consistently call weekly, you will be dropped off the waiting list. Find a Bible-Teaching Church, if you do not already belong to one. This will accomplish two things: You will start finding the help you really need. Our program is a Bible-based, Christian recovery program. We use the Bible as our standard of authority to give direction on how to live a life that pleases God. Most evangelical, Bible-believing/teaching churches will offer support resources for recovery. This may be through a Bible study group or individual counseling with the Pastor. Plus it will connect you with a local church to then re-connect with after you graduate from the program. A requirement for graduation is that you establish an accountability relationship with a local church. By getting involved with a church before you come in, you will be that much farther ahead of the process. When you get here, the church will be praying (prayer changes things) for you and the Pastor will be able to visit you while you’re here. Take care of any medical, dental and/or legal matters before you come in. Our desire for you is to have an uninterrupted stay that is free from outside distractions. If you need to apply for disability in order to provide for your family while here, please work with a doctor to submit the necessary paperwork. We are not a medical facility. Therefore, we are not equipped to handle ongoing medical issues. We do not allow any psychoactive or psychotropic medications (e.g. Valium, Xanax, Prozac, etc) in the program. If you are taking these types of medications, please work with your prescribing doctor to diminish your dosage to the point of being off those meds while waiting. If you are dealing with an opiate addiction, you will need to go through detoxification prior to entering the program. Please let the admissions office know if you need to detox. We will do our best to coordinate your intake date with your discharge date from detox. Begin developing a strategy for overcoming your addiction. Start attending a recovery support group (Overcomers in Christ, Celebrate Recovery, etc…). Do whatever you can to begin living free of your addiction. Clean out whatever remnants of your addiction that may remain with you. Avoid the typical people, places, and things that you associate with your addiction and begin to gravitate toward people in your church that can have a positive influence in your life. Begin accepting responsibility for your life. The only way change can take place is when you take responsibility for the circumstances in your life. Stop blaming your addiction on your circumstances or the people around you. They may have influenced your decision to participate in an addictive behavior, but you are ultimately responsible for your decision to use. Include your family in your recovery. Let the people who love you be a part of your recovery if they want to help. This may include being accountable for your time, money and friendships. Focus on the “here and now.” You’ve probably heard the cliché “one day at a time.” Evaluate what needs to take place in your life to stay clean just for today. The past is history, tomorrow is a mystery. Don’t worry about what’s going to happen down the road. Rejoice in the victory you have in not getting high today. If you are on probation, notify your probation officer of your plan to enter the Colony. We will also need their contact information to verify your attendance. We offer Bible studies that will assist you in becoming familiar with our approach to addiction. It would be helpful if you shared these studies with your pastor in case you have difficulty completing them. Your pastor should be able to answer any questions you have regarding these studies. Mission Statement: Setting Captives Free exists to offer Christ-centered Hope and Freedom to those in the grip of sin through accountability to Bible-based Truth resulting in the true enjoyment of Life in and for the Glory of God. Setting Captives Free is a non-denominational ministry which teaches the biblical principles of freedom in Jesus Christ. Founder and President, Mike Cleveland, was captive to habitual sins for many years. 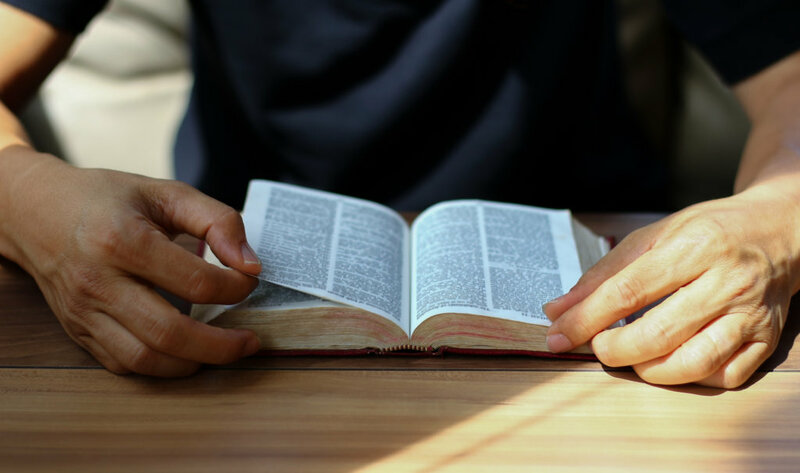 He finally 41 began to seek help and learned the biblical solution to his sin problem: repentance, forgiveness, and the newness of life that comes through the gospel. In January 1999, Mike found forgiveness of sins in Jesus Christ and God changed his heart. Since that time, he has been completely free from all forms of habitual sin, by God’s grace.